Hi Jenny, how long has your Etsy shop been open? I opened my Etsy store at the end of June 2007 but didn’t start listing items for the first month or so. I spent that time looking around and learning from the Etsy forums, other sellers and various blogs referencing online selling. I wanted to be really happy and confident with what I was listing before putting it out there for the viewing public! How and when did crafting and bookmaking come into your life? ‘Making’ of some description or other has always been a part of my life. My mum was a sewing teacher at High School so that was always around me and I’ve maintained some interest there. Stationary has always been a passion for me and when I stumbled across a course in bookmaking I signed up. Straight away I knew it was going to be something I would keep at for many years to come. I love the precision involved in book making. It’s so satisfying to get everything just right so you end up with a beautiful object at the end. It’s important that what I make is practical too – I’m not that interested in making things to sit and be looked at, I love that people use my books and albums. Do you have a day job different from being an Etsy seller? What is it? My day job is at as a corporate travel agent. I’ve done this for all my adult working life and it has afforded me some wonderful opportunities to see so much of the world. Mind you, I think I will always have a list of places I still want to get to! It’s quite a demanding job, especially in the company I work for, and for many years I couldn’t get the energy to do much after work than recover from the day. 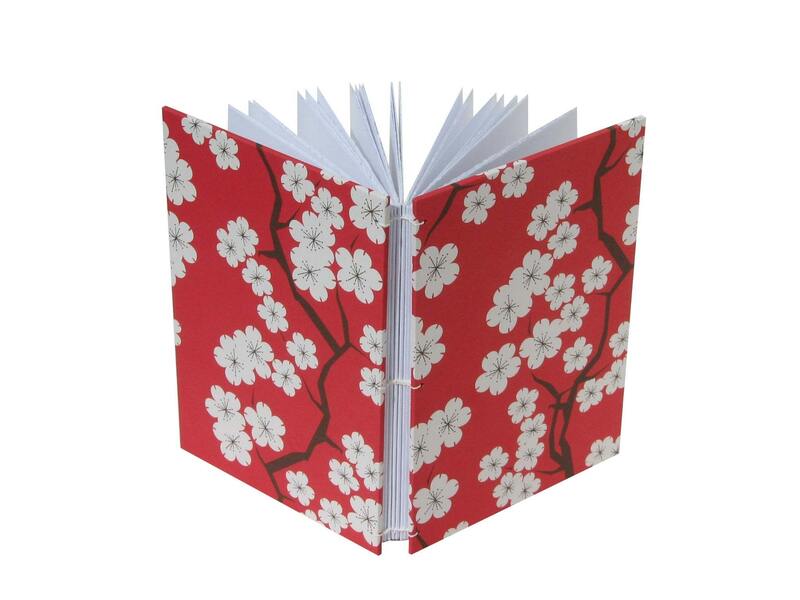 Once I discovered bookmaking though I realized that I just hadn’t found something I was passionate about. Now, I look forward to getting home and doing a bit of book work of an evening and I always make time of a weekend. Is there someone who helps you with your Shop? Everything I make is done entirely by me. My husband is creative, but with words not making things (he’s a journalist and musician). Our cat Yoyo thinks he helps me but in fact he doesn’t. 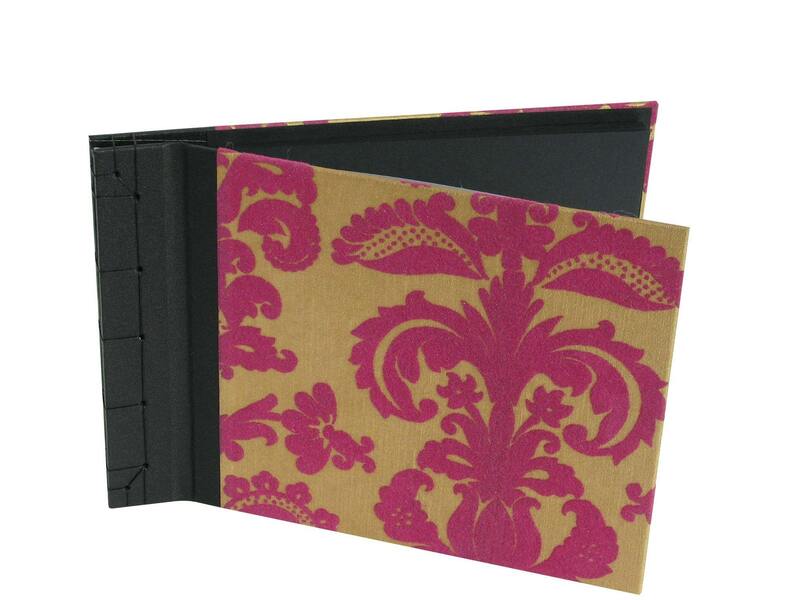 The main things I sell online are notebooks, photo albums and gift tags. 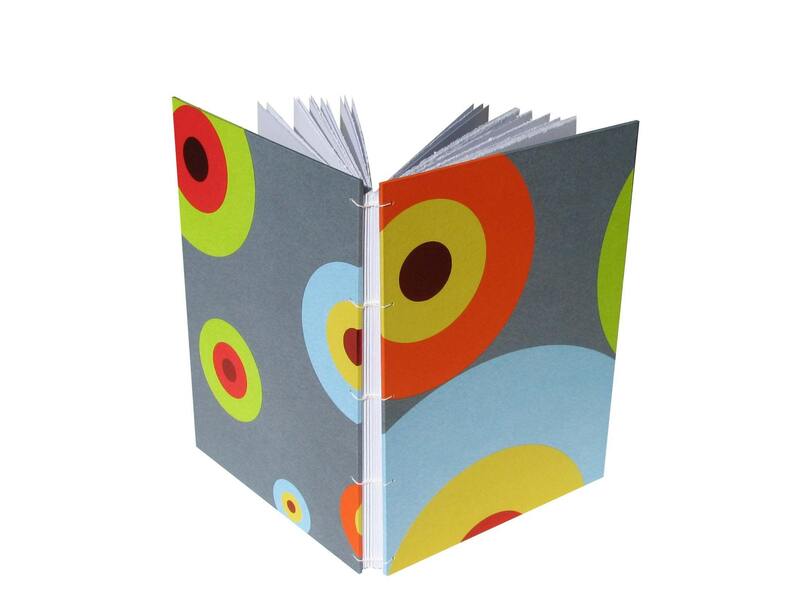 I’ve also dabbled in some fabric notebook covers which is fun as it combines my love of fabric with stationary. 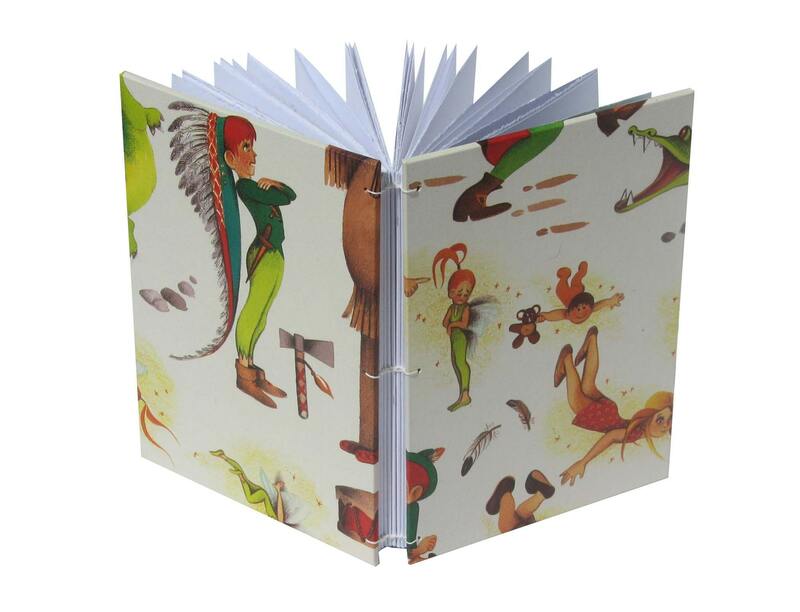 I also make recipe folders but I only sell them at markets as they’re quite large and weighty too so postage makes them a bit prohibitive for selling online. They’re very popular at markets though. What materials do you use for your books and what techniques are your favorite? I mostly use the Coptic method of binding for my notebooks. I really enjoy the process of sewing the books together. I do make some case-bound books on occasion, but mostly it’s coptics. For my photo albums I started out using the Japanese Stab Binding method but I’ve also started playing around with using brass screws. I like the ‘handmade’ look of the Japanese Stab Bind, but I also like the clean finish of brass screws so I think I’ll continue with both methods. Late last year I did a one day course on using fabric as bookcloth and I’ve started doing this recently. 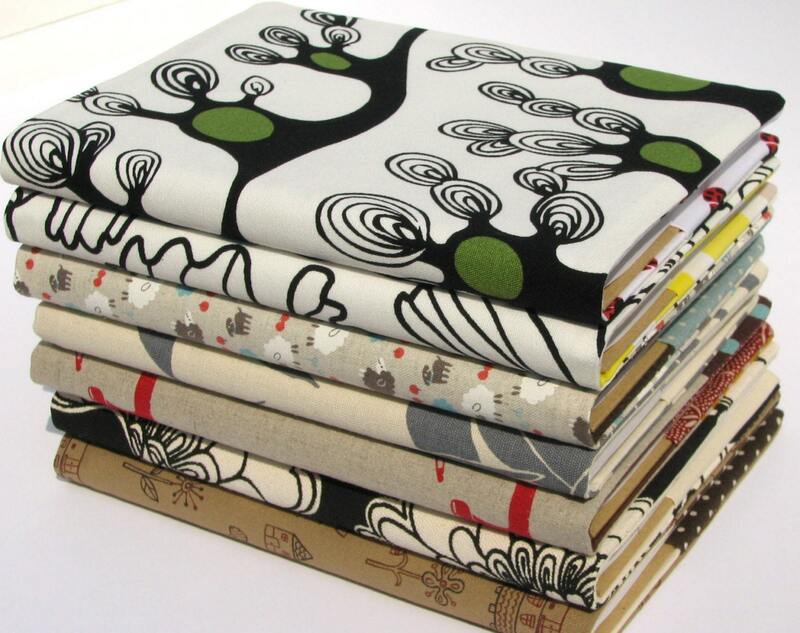 I hope to use it on both albums and notebooks and am looking forward to using up some of my fabric stash. My favourite part in bookbinding is when I lift up my pressing boards and see a pile of beautiful flat and colourful covers. Sometimes I keep them lying around before sewing them together just because it gives me pleasure looking at them!! That sounds like your work area could look interesting, with book covers lying around. What else is there to see? When I first started making books, I used the dining table - our house either looked a mess or I wouldn’t have time to pull everything out unless I had a block of time to put it to good use! I really turned a corner when I took over a nook of our spare bedroom. I had a table made at a height that means I don’t have to bend over and get a sore back and everything is always out and ready. It means that if there’s just 5 minutes I have spare I can do a little task, if I have more time all the better. I love having everything on hand and even if I don’t have time that day to do anything, it gives me pleasure to know that it’s just there! I got my dad involved in the setup too but getting him to custom make a set of draws for my sheets of paper. It’s wonderful to have somewhere I can lie them all flat and have easy access to them. Do you have special plans for your crafting and your shop for the future? New skills you would like to acquire, new techniques to learn or new materials to use? I hope to always introduce new techniques and products to my store, the main obstacle is having time to perfect them and get my skills to a level where I think what I make is at the level required to be sold. Working with leather is something I have in mind to investigate this year. I also do other crafting that I have no intention of selling – stamp making, knitting, sewing – I just do it for the enjoyment. Thank you for taking your time to give us a little insight in your work. - Ah, I cannot stop myself and have to ask my favorite question after all: Is there a story behind your Etsy-Name? Coming up with a name was a difficult process for me and I spent quite a bit of time thinking it over and also canvassing friends and family. Eventually I settled on Paper Lion – the paper part is obvious, the lion part is reference to the fact that my star sign is Leo. At the end of the day, I just liked how they sounded together!